The Deep Freeze Base has special effects in the Iceberg location. Sitting at a full -100 degrees Celsius, this base is dangerous to handle and requires protective gear even to arm cheese safely. Given the extreme cold, it can destabilize most traps, severely impairing their effectiveness. However, certain traps in a certain area may in fact benefit from the intense cold it emits, even perhaps using it as a stabilizing agent at a critical point. The Deep Freeze Base is not sold by any Trapsmith. It can only be crafted given the proper ingredients. 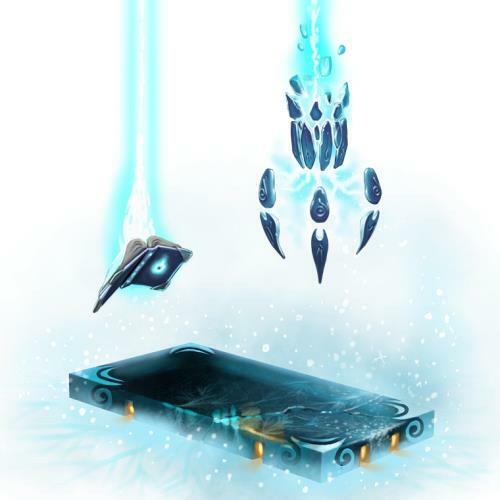 The Deep Freeze Base receives a bonus 665 power and 9 luck before hunt 250 in the Icewing's Lair, Hidden Depths and The Deep Lair of the Iceberg. 14 June 2012: The Deep Freeze Base was introduced, but the recipe was not known. 18 June 2012: The recipe for crafting the Deep Freeze Base was revealed.